Dedicated to all food lovers! We are back with another post about Halong Bay. This time, we are not going to search for new places in Halong Bay, but explore a new feature of Halong Bay : the culinary art. 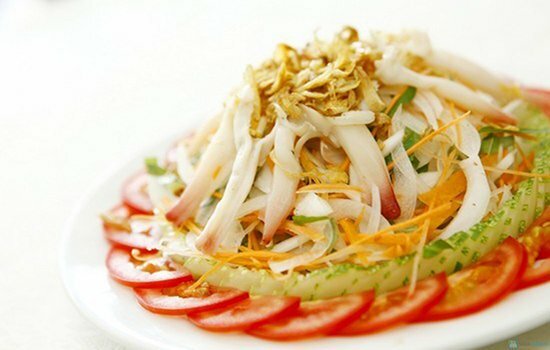 In this list, we will list out 13 specialties of Halong Bay that you must try when you come here. Some of these specialties can be strange and weird to international tourists, make sure you are not allergic to any of these specialties! Beside enjoying the significant landscapes of Halong Bay, savoring delicious food is also a great way to understand the culture of Vietnamese. We hope after reading this list, you will find some good dishes to add to your favorite food list! We can say that Grilled chopped Squid is the most famous specialty of Halong Bay. You can’t say you visited Halong Bay without trying grilled chopped squid! Squid is grinded manually and deftly then it will be fried in a moderate heat until it turns crispy and golden brown. You should eat grilled chopped squid with sticky rice and fish sauce or steam rice rolls. The average price for a plate ranges from 15,000 vnd to 20, 000 vnd or you can buy grilled chopped squid with the price from 300,000 vnd/kg. You can try the dish at the shop next to Bach Bang cinema or most of the food stalls in Halong City. 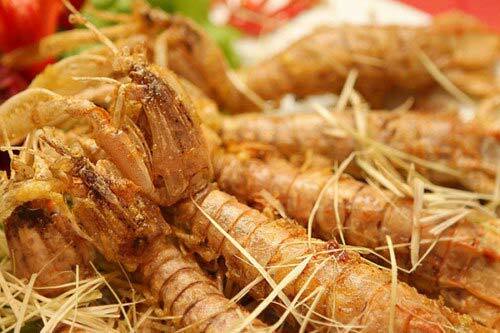 Sa Sung is a kind of seafood that you could see at Quan Lan – Minh Chau island (Van Don, Quang Ninh). From the ancient times, Sa Sung is a precious tribute to the King or functionaries. Only rich people could afford it. There are many dishes can be made from Sa Sung such as: Sa Sung boiled, Sa Sung fried with garlic or lemongrass, dried Sa Sung deep fried, etc. The taste of Sa Sung is very different and delicious with ketchup and beer. You can buy Sa Sung as a present for your friends and family with the price from 3,000,000 vnd/kg. 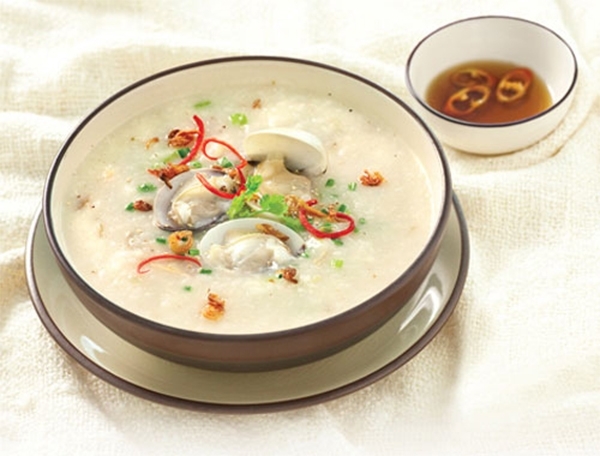 Oyster is one of the famous seafood in Halong Bay which is high nutritious food. Grilled oysters are the best with beers. Fresh oysters are washed carefully before grilling on charcoal burner. You can eat grilled oysters with the mixed sauce from pepper, salt and lemon. 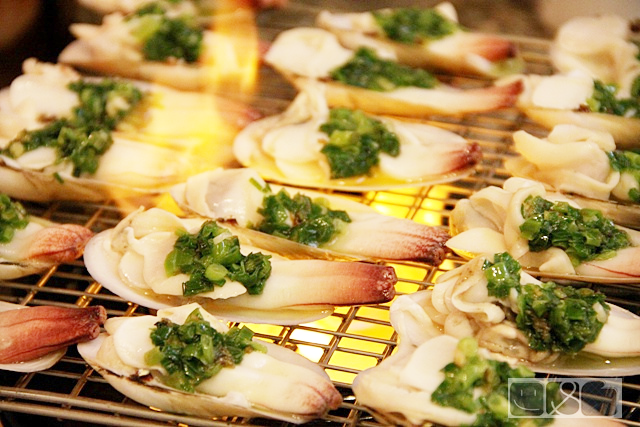 Grilled oysters with green onion or chili-lemongrass are also quite tasty. The price for a table for 2 with grilled oysters and beers is from 200,000 vnd. You can savor grilled oysters in any restaurants in Halong Bay or small food stalls along the coast. 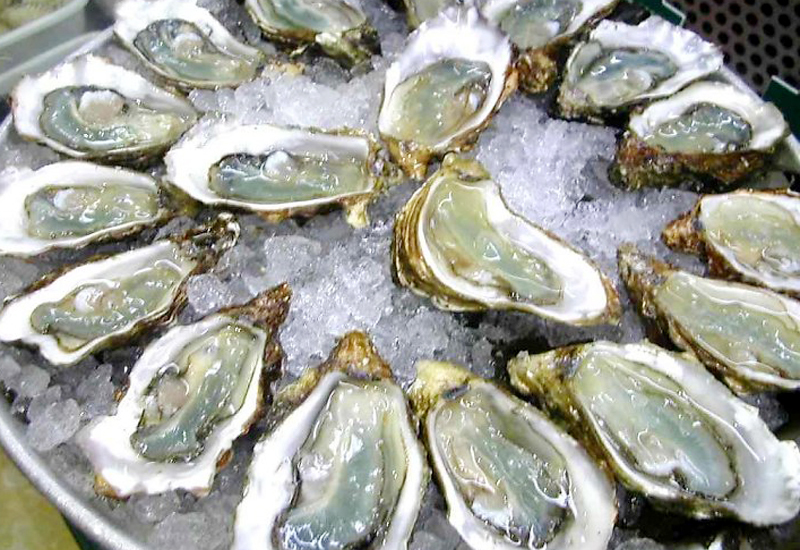 Oysters are quite fresh and tasty because local people raising oysters in an eco environment. Visiting Halong, you will be able to enjoy lobsters in a unique way: drifting on floating restaurant in Halong Bay, nibbling the dish and feeling the tang of the sea. Many dishes can be made from lobsters: fried lobster with salt, rice gruel with lobster, lobster salad or steamed lobster. 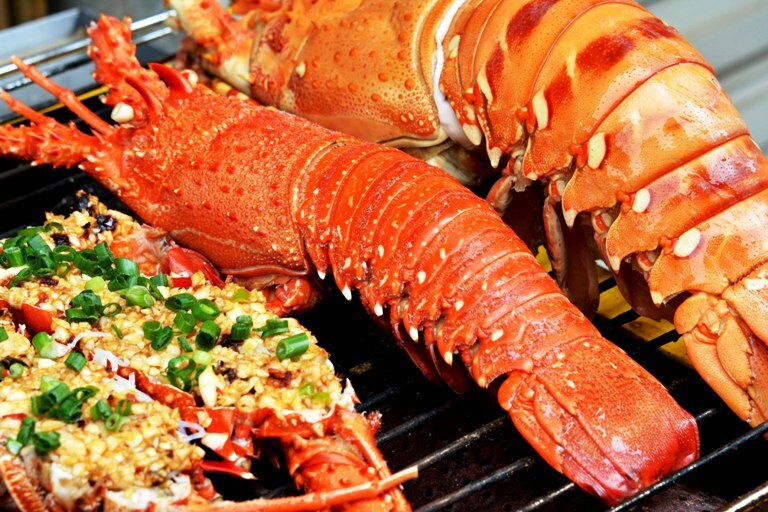 Among them, steamed lobster enjoys the greatest popularity since it preserves the original flavor of lobsters. 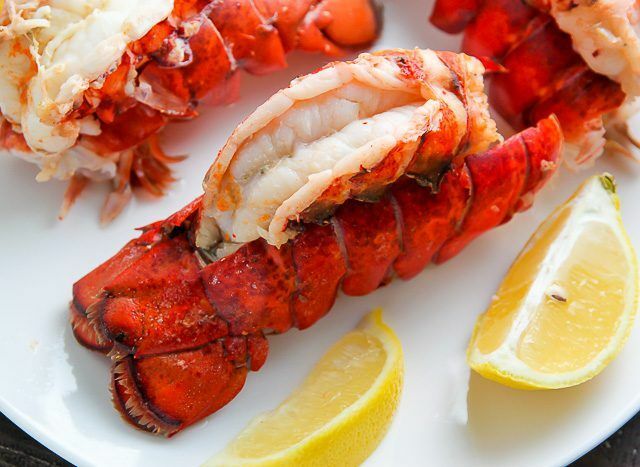 Lobsters have a variety of different weight, depending on the number of customers that the restaurant can serve. Not only the incredible scenery and delicious food in Halong Bay can take your soul away but also the drink! 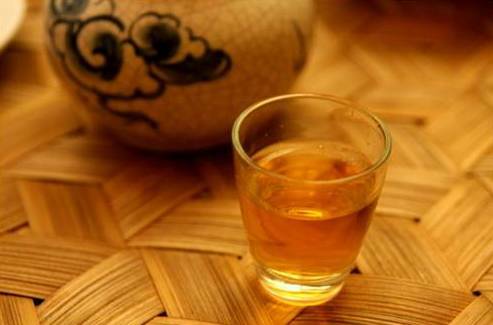 We are glad to introduce you the most famous wine of Halong Bay – Hoanh Bo soaked rice wine! This special wine was made from a special sticky rice which you can find it no where else. Sticky rice was cooked and brewed naturally. After the fermentation, people soak some special leaves which was taken from Hoanh Bo forest in the wine jars. Hoanh Bo wine are sour, slightly sweet. It is good for your digestion, and especially taste in the summer. Halong is famous because of many kinds of seafood like not only lobster, squid but also snails. Halong has many kinds of sea snails; each kind has its own processing and its own taster. You can eat a lot of dishes made from sea snails at Cao Xanh area which is nearby Bai Chay Market. The atmosphere in this area is always bustle and hustle due to the huge amount of customers eating here. On the way to Bai Chay, you also catch a big Sea Snail supermaket which will surprise you with a long menu of sea snails! Horseshoe crabs are marine arthropods of the family Limulidae and order Xiphosura or Xiphosurida. They live primarily in and around shallow ocean waters on soft sandy or muddy bottoms. Many dishes can be made from horseshoe crabs: blood pudding, salad, sweet and sour fried legs, fried horseshoe crab’s eggs, etc. 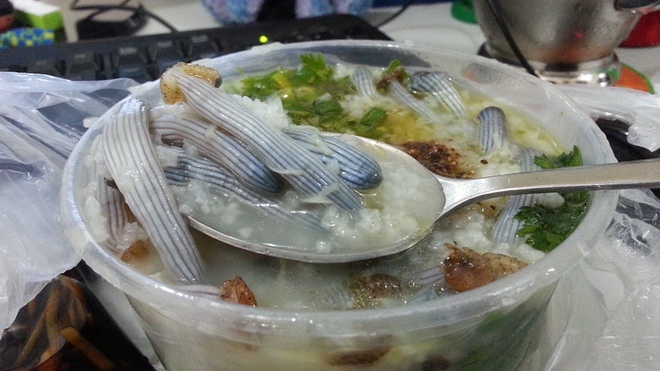 You can try this specialty at Cao Xanh area, Gieng Don area or on 25/4 street, Bach Dang ward, Halong City. Ngan are similar to clams but bigger. They can be process by various ways: grilled, steamed, made soup, fried with noodles or vegetables. 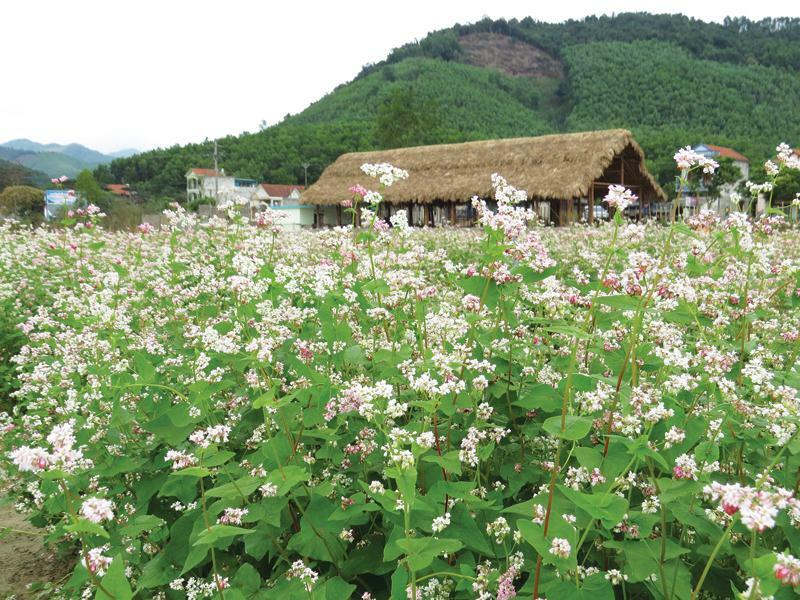 Ngan are also used to brew wine, the taste of Ngan wine is full of sea scented. You can try Ngan at almost every restaurant in Halong Bay. 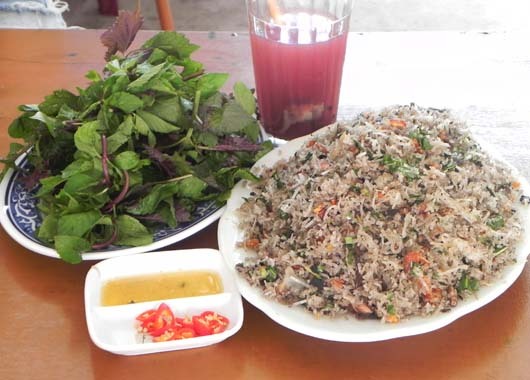 “Cà sáy” is the hybrid of duck and cairina, through processing of Tien Yen people, the flavor becomes doubly delicious. In order to savor fully the good taste of Ca Say, local people use a mixed sauce made of Cat Hai fish sauce and other seasonings. Tu Hai are a rare species of seafood with high nutritional value. 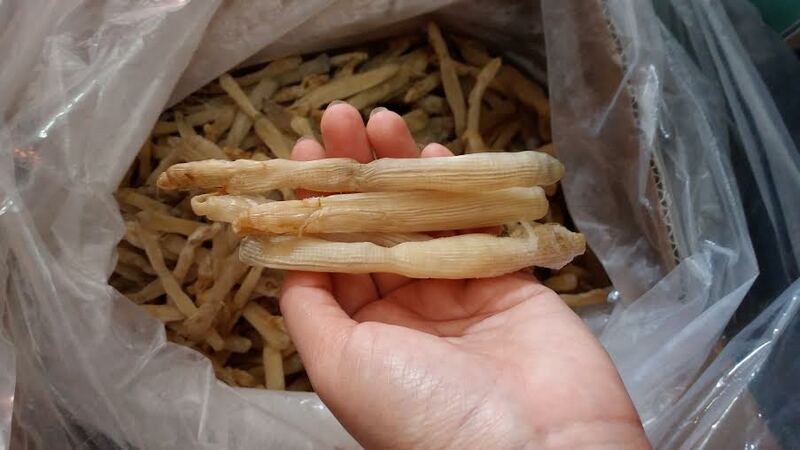 They has been successfully researched and commercially produced since 2015 in coastal area of Bai Tu Long Bay, Van Don district. This is the most famous dish of Van Don district, so of course you should come there to savor this delicacy. 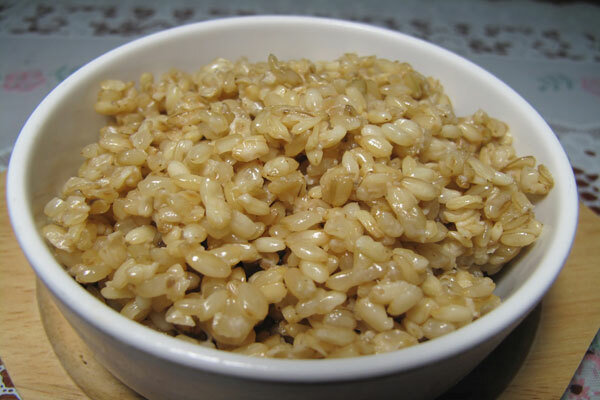 There are many way to process Tu Hai such as: steam, make soup and gruel, grill or fried. Another special from Halong Bay that we want to introduce you – Ba Kich Wine. 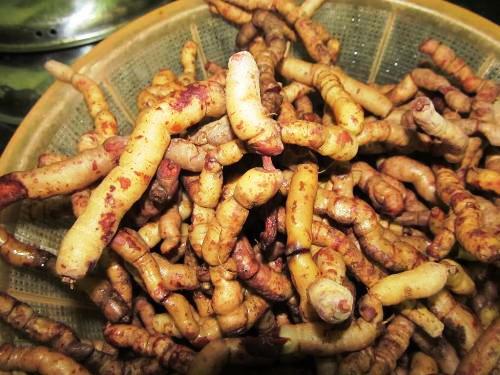 This kind of wine was made by soaking Ba Kich – a popular vegetables in Quang Ninh province. There are 2 kinds of Ba Kich wine: the white wine or the purple wine. In comparing to other special drinks, Ba Kich wine is easier to drink and it doesn’t cause headache. Drinking Ba Kich wine with a moderate quantity will help your body healthier. The same family with oysters but Ha are smaller and their shell are harder. Due to its hard shells, people have to use hammer to crash the shells. The local people use Ha meat to cook sour soup which is such a delicacy. 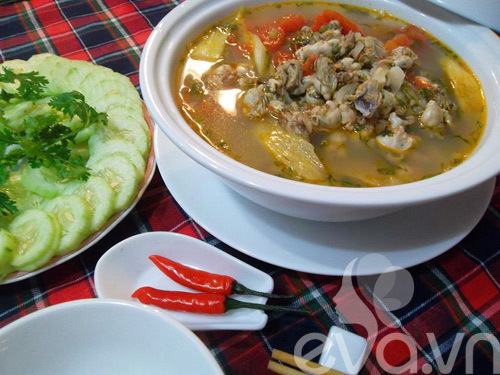 You can order Ha soup at almost every restaurants in Halong city. 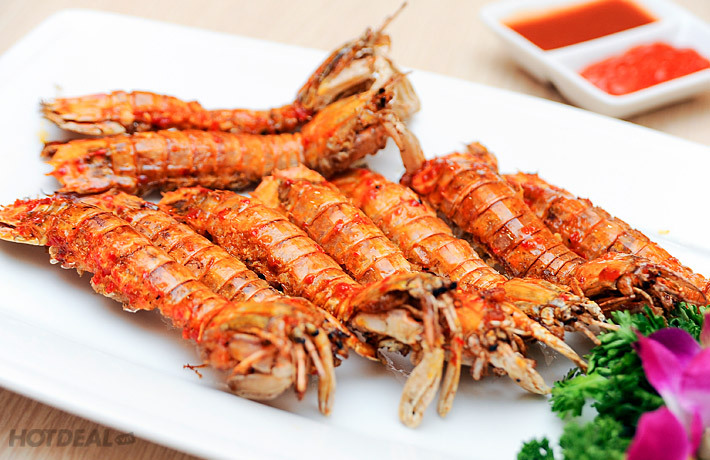 Be Be is a quite typical seafood that you can only see them at Cat Ba island. Some people call Be Be as small shrimp or sea mantis. Be Be can be processed by many ways but the best taste is Salty Roasted Be Be. 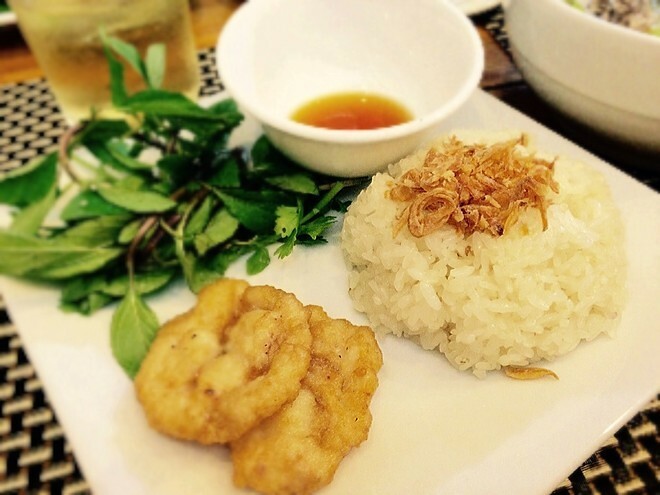 You can savor the best dish of Be Be at Hotel Huong Duong 1 (Nui Ngoc Street). This place got the best talented Chef who can cook Be Be but still keep its own fresh taste!